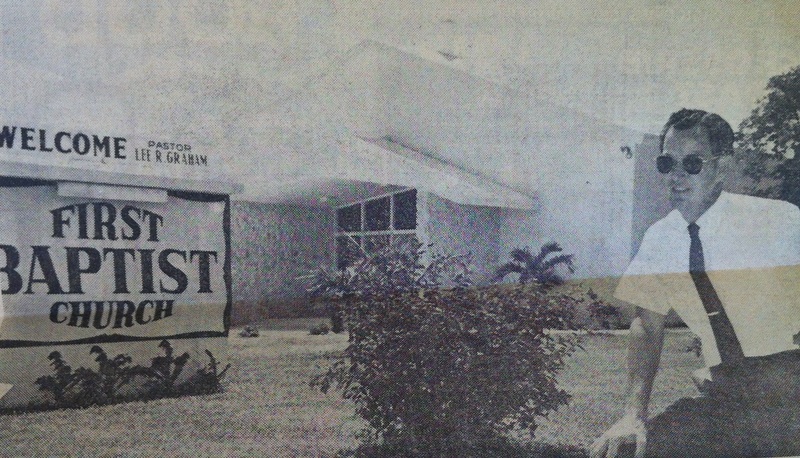 First Baptist Church of Key Largo traces its beginning to the summer of 1955 when a small group of Christians started meeting in the Key Largo Civic Club for prayer and Bible study. By the next summer, the group had grown large enough to be sponsored as a mission by the Central Baptist Church of Miami. Eight years later, on December 6, 1964, the mission became a fully constituted church. 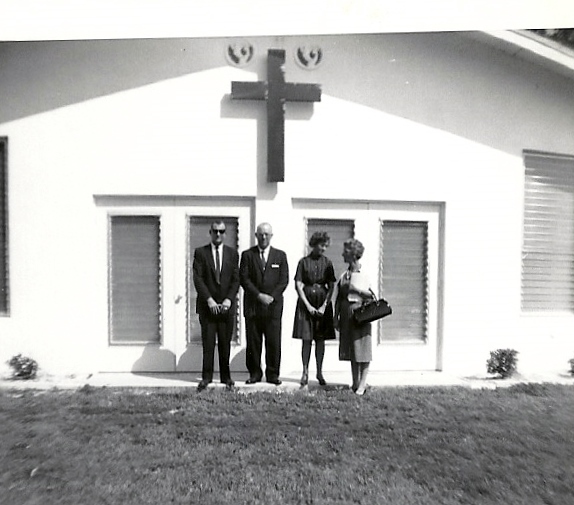 The picture below is of Pastor Jake Reed and some leaders of the church outside the then ‘front doors’ of the church near the time it was constituted in 1964. The land where the church is now located was purchased in 1957. The first building (pictured above) was completed in 1958 and contained an auditorium, six classrooms, a kitchen and bathrooms. This building now serves as our Fellowship Hall. It was expanded to almost double its size in 1959 to add more classrooms and a nursery. A new sanctuary was constructed in 1969 and is still used today. The picture below is from the Keynoter on June 26, 1969, and shows Pastor Lee Graham outside the newly completed auditorium.